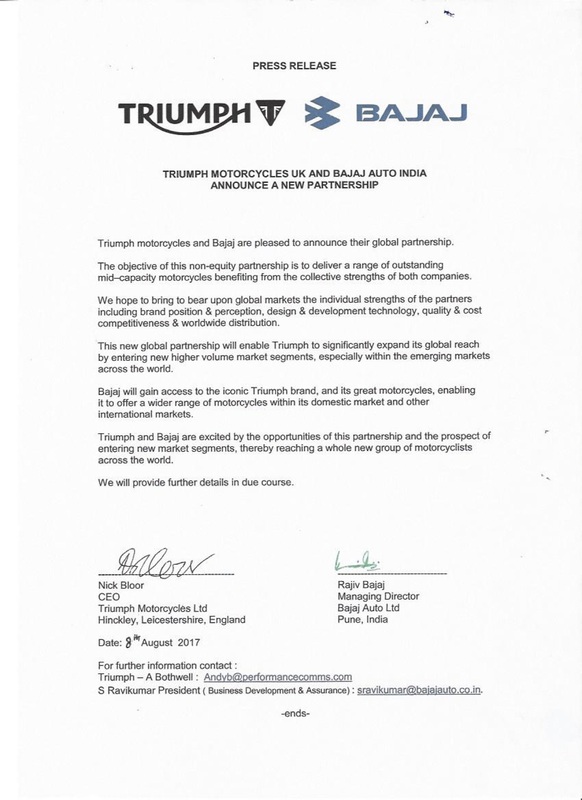 Bajaj Auto India has joined hands with Triumph motorcycles UK in a non-equity partnership. The objective is to offer a range of mid-capacity motorcycles benefitting from the collective strengths from both the companies. The partnership will help Triumph enter new high-volume market segments, especially within the emerging markets world over, thanks to Bajaj’s international presence. Bajaj in turn, will gain access to the Triumph brand and its motorcycle portfolio. It will enable the Indian brand to offer a wider range of motorcycles both in its domestic and international markets. Expect Bajaj to sell high-end motorcycles from Triumph through its dealer network. For Bajaj, the collaboration will help better brand positioning, perception, design and development technology. It will also enhance the quality, cost competitiveness and worldwide distribution for both the brands. At the moment, the brands are not willing to outline the specifics of the partnership. 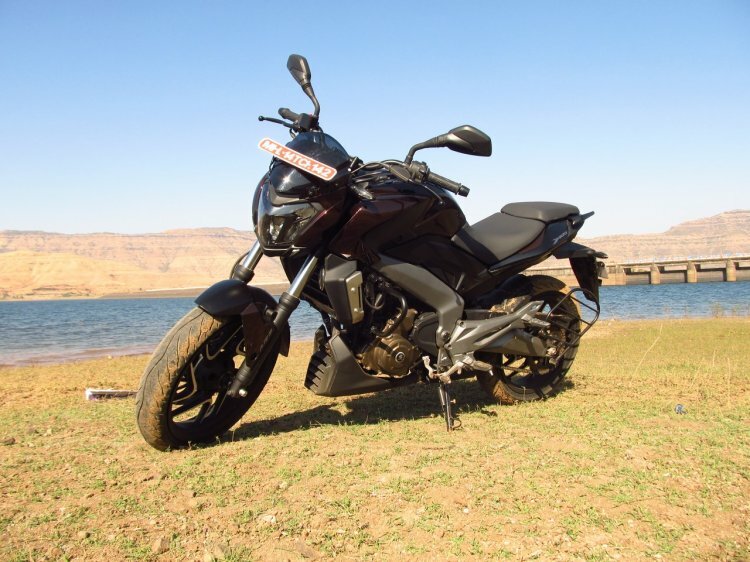 The partnership could also help Bajaj develop bigger capacity motorcycles in the future which is not in the scope of the original framework. Bajaj is also optimistic about bringing the Husqvarna brand in India. Positioned above KTM, Bajaj is confident that the Swedish brand will gain a bigger traction than KTM. In the commuter segment, Bajaj will launch a new variant under the V range in the festive season, which would in turn aid in sales numbers.